Malaysia Perak Taiping Fireflies glow against the Kuala Sepetang night sky. INTO A GLOWING ECO-TOURISM INITIATIVE. That sight inspired Khairul to tell the whole world about the beauty of the insects he so cherishes: fireflies. 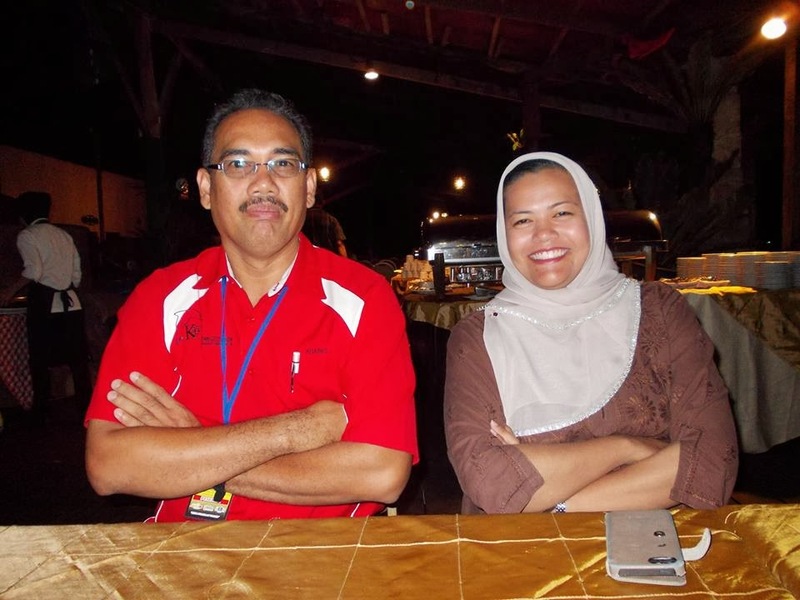 On that night in 2008, Khairul had set off in a small boat to catch freshwater lobsters in the estuary of the Sepetang river in the Malaysian state of Perak. Fishing was his hobby, but catching lobsters was a new challenge. He’d been told that shining a powerful torch into the water would reflect light from the lobsters’ eyes, pin-pointing their position. Although lobster fishing sounded easy enough, Khairul was more concerned about the accompanying dangers. Mangrove trees have complex root systems that are partially submerged, providing a haven for insects, fish, birds and reptiles. The lobsters thrive in the water beneath the trees, but the aerial roots are also home to venomous snakes like pit vipers, known locally as ular punti. 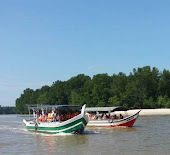 The 33-km-long Sepetang river flows into the tidal waters off Kuala Sepetang, but only a tenth of it flows through the Matang Forest Reserve, an area rich in flora and fauna. 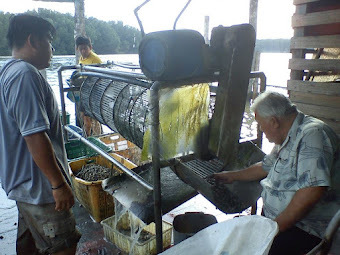 This estuarine location is famous for its mangrove forest and charcoal production. 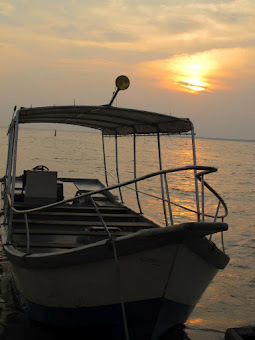 The fishing villages around Kuala Sepetang produce some of the country’s best seafood, while migratory birds at the Kuala Gula bird sanctuary attract birdwatchers local and foreign. Scientists believe the synchronised flashing of the fireflies is a mating ritual and display of courtship. 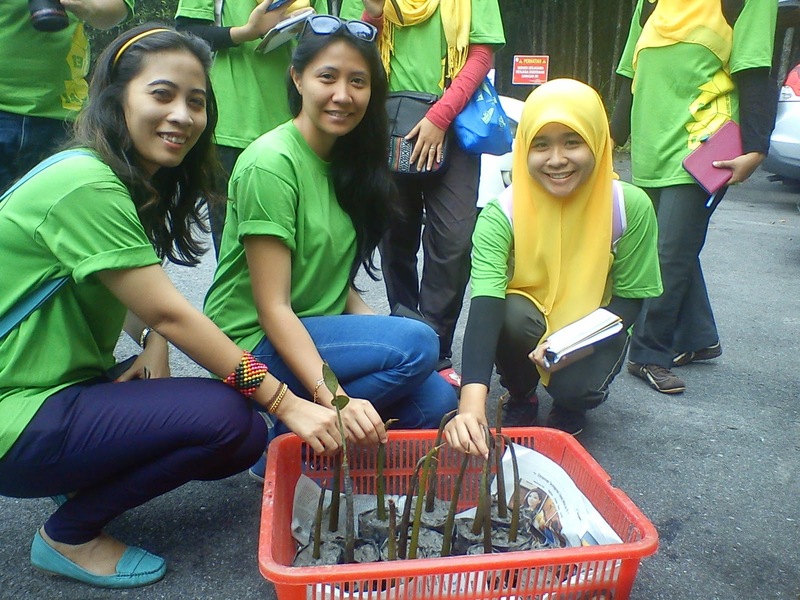 Visitors who come to see them will also spot firefly-supporting berembang trees along the riverbanks. These mangrove mainstays have attractive cerise flowers whose nectar lures the fireflies, and light green fruits that resemble crabapples. 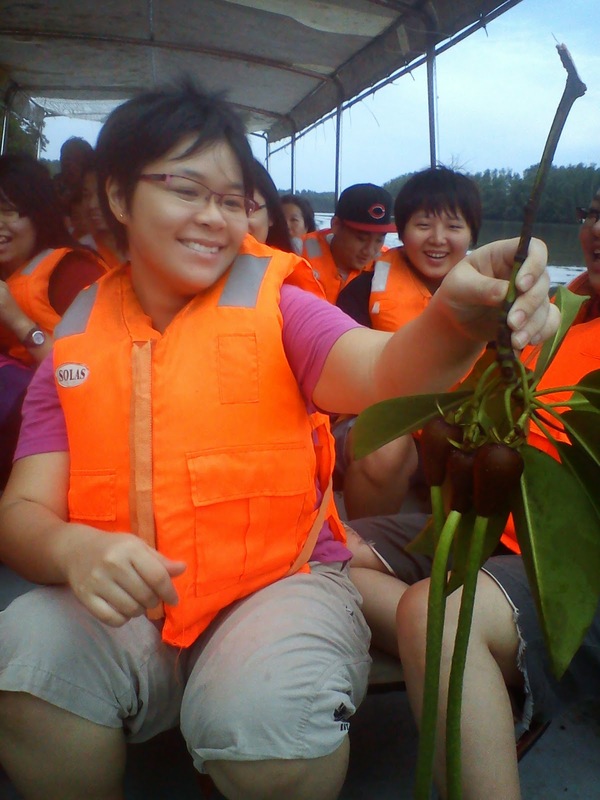 In 2011, a survey by the Malaysian Nature Society charted 130 mature berembang trees along the Sepetang river. Studies by the Forest Research Institute Malaysia show that the adult firefly (which is in fact a beetle) is about the size of a grain of rice. The adult female firefly lays her eggs in the rotting, muddy undergrowth of the mangrove forest. Firefly larvae feed on the snails that live in the muddy swamp. After two or three months, the firefly emerges. Its lifespan lasts about four weeks before the cycle repeats. 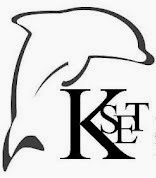 additional income from eco-tourism with homestays, handicraft production, seafood restaurants or the renting of fishing boats. 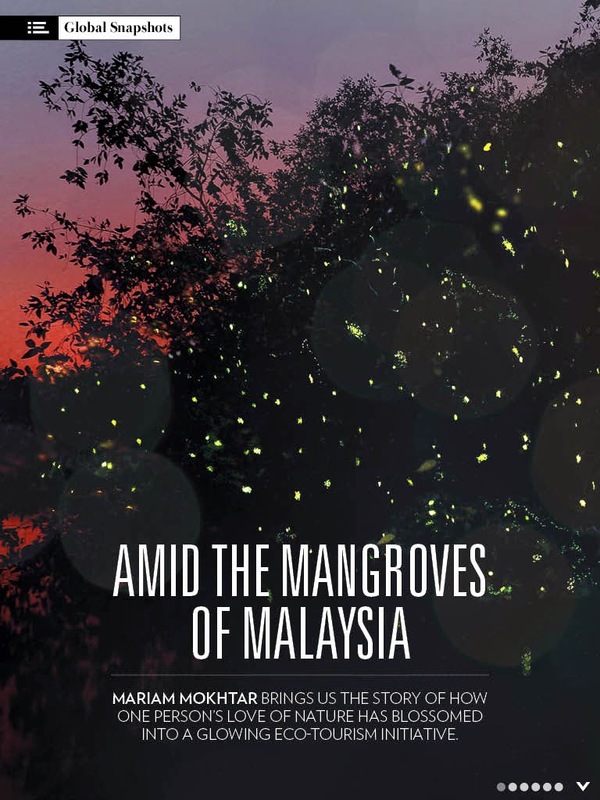 Although Khairul has spread word of the fireflies, locals have been aware of them for generations. In Malay folklore, fireflies are believed to be the nails of passing ghosts – this is told to children to encourage them to come inside at dusk. The Chinese have a story about a poor student who caught fireflies and put them in a jar (releasing them afterwards) in order to study by their light. 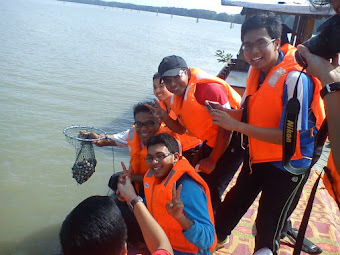 A curious Khairul approached the Malaysian Nature Society to learn more. Soon later, scientists and nature photographers were seeking his services to observe the fireflies. He saw the potential for eco-tourism, but also feared that the fireflies’ habitat might be destroyed. 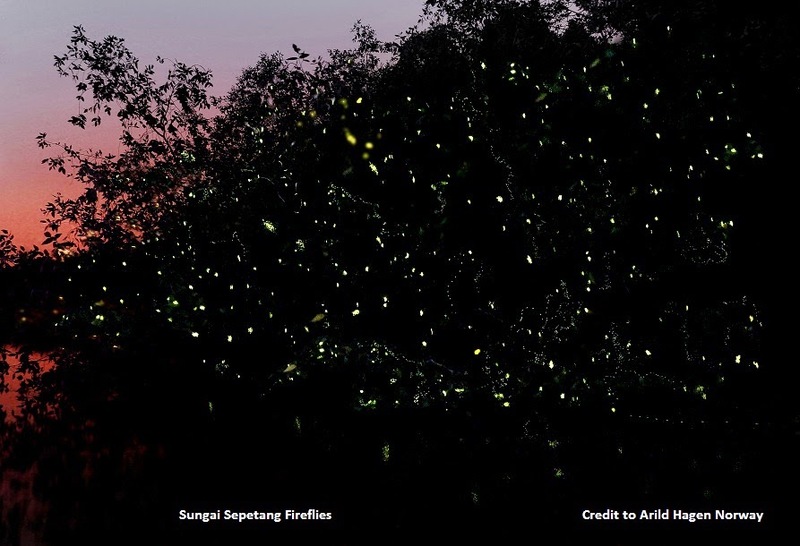 With the aim of boosting local awareness, Khairul started a blog, telling the villagers that the fireflies’ presence meant the environment was in good condition, both in the water and on land. He advised the local community that they could earn some. 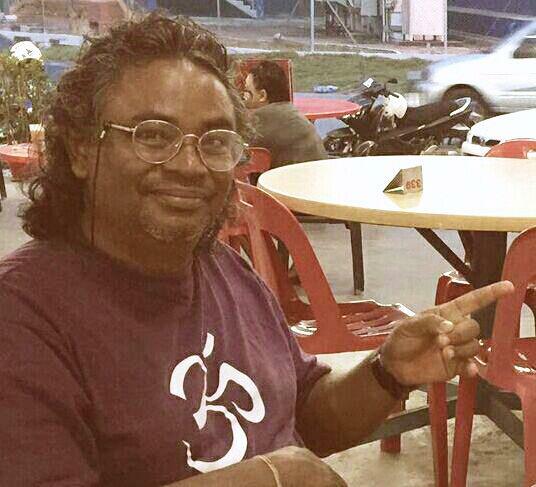 For his part, Khairul frequently gives talks to students, family groups and tourists. When he began in 2008, visitor numbers were modest. Five years later in 2013, he counted close to 3,500 visitors from countries around the world. 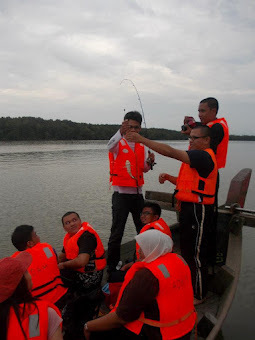 Khairul teams up with locals such as villagers, park rangers, charcoal factory owners and boat operators. Bringing together these seemingly disparate groups results in a varied itinerary for visitors. 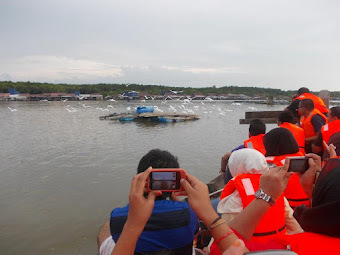 Tour groups can walk along the boardwalk through a small portion of the mangrove forest, go on a river tour, help to rejuvenate the forest by planting mangrove saplings, and even visit a charcoal factory. Despite charcoal’s dirty reputation, these businesses are environmentally sustainable according to factory owners, who claim to replant a sapling for every mangrove tree they fell. Which is not to say that the environment here is free from threats. Khairul points to the attitude of some people who, he says, treat the river as a dustbin and fail to respect the mangrove forest. Having seen the effects of industry pollution while conscious of the development needs of the local community, he knows there’s little he can do to stop the march of perceived progress. Threats to the fireflies’ habitat include effluent from factories, pesticide and fertiliser run-off from farms, light pollution from nearby industrial zones and illegal land-clearing. 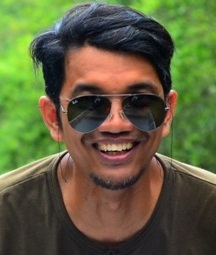 His use of eco-tourism to combat these threats has made Khairul’s name synonymous with the fireflies of Sepetang. Amid the charmingly electric atmosphere of the tours, his unofficial title of “Guardian of the Fireflies” feels fitting. And his affinity for the insects proves infectious with visitors. “It looks like someone switched on tree after tree of fairy lights,” gushes a child with eyes the size of saucers, “– in the middle of the jungle!” .